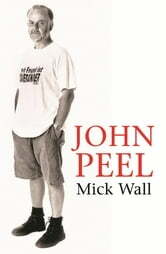 John Peel was born in Cheshire in 1939 and, after National Service, he eventually went into broadcasting while travelling in America, where his Liverpool accent convinced them he must know the Beatles, and he was even present when Lee Harvey Oswald was shot. In 1967 he returned to the UK and joined Radio One at its start. His late-night radio shows were cult listening for music fans of all ages, and many bands admit that without his support, they would never have made it. While Radio One changed, he remained a constant factor in its schedules, and in 1998 he was awarded the OBE for his services to broadcasting. It was in that year that he also began his multi-award-winning show Home Truths on Radio Four. Mick Wall tells the story of arguably the most influential man in the history of British rock music, speaking to those who knew him well to build up a complete portrait of this hugely popular figure.